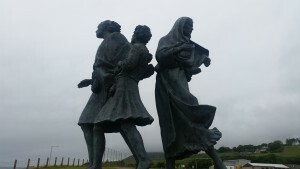 Elizabeth Raffald was celebrated on Day 19 of the cycle ride, Brora to Wick, Thursday, 25th June 2015. A miserable foggy day with the sea not far away but unseen! 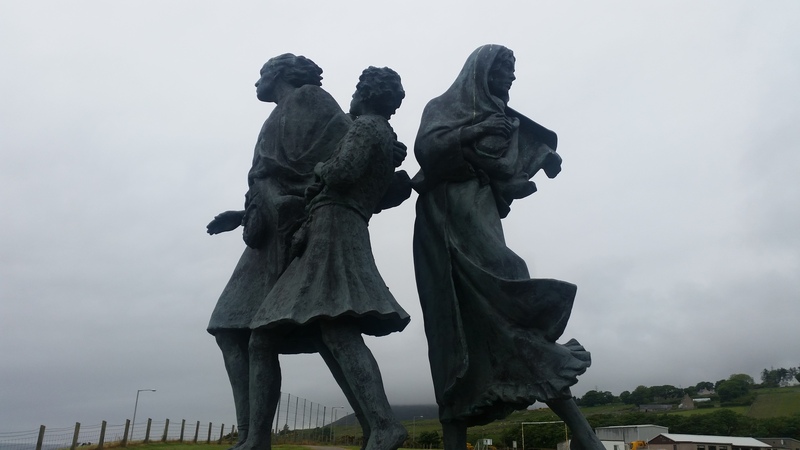 Here is The Emigrants statue in Helmsdale. Elizabeth Raffald was an eighteenth century business woman and author who wrote The Experienced English Housekeeper. There is more information about Elizabeth on Wikipedia.